­The resolution, authored by Saudi Arabia and actively supported by Egypt and Bahrain, demands that President Bashar al-Assad transfer power to a transitional government and that the Syrian Army ceases tank and helicopter attacks against rebel forces. It also demands that Syria refrain from using chemical and biological weapons. This clause comes after a recent announcement from Damascus alleging that Syria possessed chemical weapons, and would not hesitate to use them against an invading army. 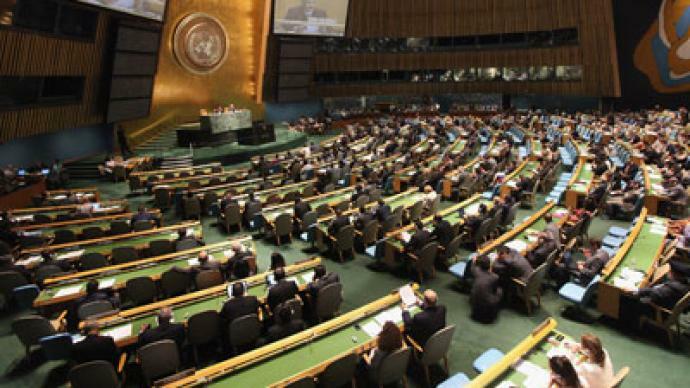 The General Assembly denounced the Syrian crackdown on rebel forces while criticizing the Security Council’s inaction. During the session in New York, Secretary General Ban Ki-Moon said the Syrian conflict had become a “proxy war,” and called on both opposition and rebel forces to end the violence. "The acts of brutality that are being reported may constitute crimes against humanity or war crimes," he said. Syrian envoy Bashar Jaafari noted that countries supporting the resolution, specifically Saudi Arabia and Qatar, were not exactly edenic oases of human rights. The decision on the resolution came after the resignation of UN envoy Kofi Annan and the failure of his six-point peace plan. The resolution will not be legally binding, as all General Assembly resolutions are advisory. Passage of the bill may nonetheless have a serious impact on the political climate surrounding Syria, paving the way for the possibility of sanctions. The vote had originally been scheduled for Thursday morning, but was postponed until Friday. Moscow voted against the resolution. “It [the resolution] is extremely one-sided and was written as if there was no armed opposition at all,” Russia’s UN ambassador Vitaly Churkin said. He also stressed that a number of clauses, such as the one that criticizes the Security Council, were something Russia could not agree to. Churkin also noted that putting a resolution on Syria to vote in the General Assembly “was inappropriate” and “contravened the UN Charter,” as the issue was already being discussed in the Security Council. 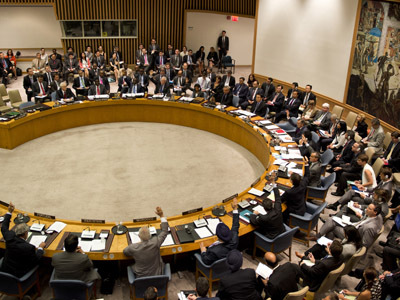 Russia and China have vetoed three separate Security Council resolutions on Syria. In each case, both countries claimed the bills were unbalanced. On the ground in Syria, the battle for Aleppo rages on. 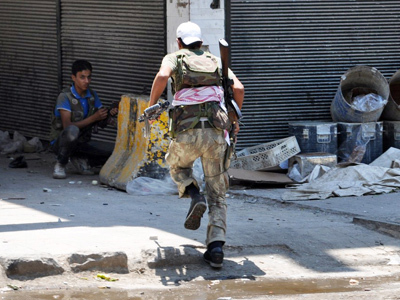 Rebels said the main fighting was taking place in the neighborhood of Saleheddine, where they estimated 20 civilians had been killed. Others claimed they managed to capture a major police station, taking several officers hostage, and seizing weapons and ammunitions. 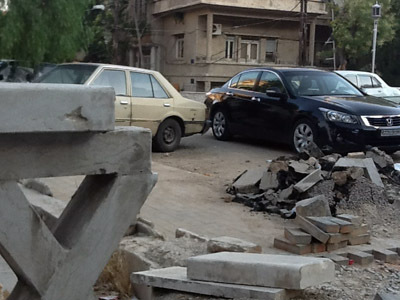 In the capital Damascus, government troops also clashed with rebels in the neighborhood of Tadamon. Activists and witnesses told Reuters that most of the city was under the control of the government by early evening. The Army has been trying to enter Tadamon for more than a week, but has been continuously held back by rebel resistance. As opposition and government forces continue to clash, each side is receiving pledges of loyalty from nations supporting their respective causes. Syria’s Deputy Prime Minister Qadri Jamil told AP that the country has asked for a Russian loan to replenish its hard currency reserves, which have been depleted by an international embargo on Syrian exports. He said Damascus also wants to get diesel oil and other oil products from Russia in exchange for crude supplies. Russian officials have confirmed talks in Moscow, but have not indicated whether Moscow has agreed to provide Syria with oil or a loan. Conflicting media reports were released, suggesting the possibility of Russian transports calling at the Syrian port of Tartus, but Russia’s Ministry of Defense says its three ships in the area have no plan to do so, unless the ships’ mission is extended. Meanwhile, Britain has vowed its loyalty to the opposition, by promising to increase its “non-lethal” support to the Syrian rebels. An EU arms embargo prevents any nation from providing arms to any party in the Syrian conflict, but that isn’t stopping the UK from showing support in other ways. In a statement, UK Foreign Secretary William Hague said,“We will, over the coming weeks, increase our practical but non-lethal support. We have helped [the opposition] with communications and matters of that kind, and we will help them more." According to reports, Washington has also recently reaffirmed its commitment to the Syrian opposition. A US government source told Reuters that President Barack Obama has signed a secret order allowing the CIA and other American agencies to support the Syrian rebels. 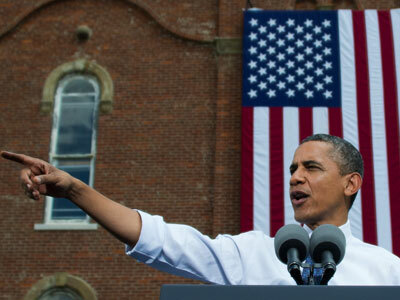 Obama reportedly gave the order earlier this year.